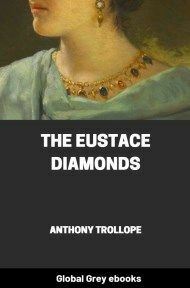 The third novel in Anthony Trollope's Palliser series, The Eustace Diamonds bears all the hallmarks of his later works, blending dark cynicism with humor and a keen perception of human nature. Following the death of her husband, Sir Florian, beautiful Lizzie Eustace mysteriously comes into possession of a hugely expensive diamond necklace. She maintains it was a gift from her husband, but the Eustace lawyers insist she give it up, and while her cousin Frank takes her side, her new lover, Lord Fawn, declares that he will only marry her if the necklace is surrendered. It was admitted by all her friends, and also by her enemies,—who were in truth the more numerous and active body of the two,—that Lizzie Greystock had done very well with herself. We will tell the story of Lizzie Greystock from the beginning, but we will not dwell over it at great length, as we might do if we loved her. She was the only child of old Admiral Greystock, who in the latter years of his life was much perplexed by the possession of a daughter. The admiral was a man who liked whist, wine,—and wickedness in general we may perhaps say, and whose ambition it was to live every day of his life up to the end of it. People say that he succeeded, and that the whist, wine, and wickedness were there, at the side even of his dying bed. He had no particular fortune, and yet his daughter, when she was little more than a child, went about everywhere with jewels on her fingers, and red gems hanging round her neck, and yellow gems pendent from her ears, and white gems shining in her black hair. She was hardly nineteen when her father died and she was taken home by that dreadful old termagant, her aunt, Lady Linlithgow. 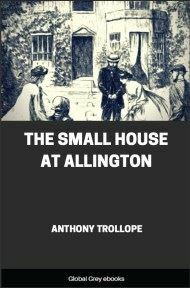 Lizzie would have sooner gone to any other friend or relative, had there been any other friend or relative to take her possessed of a house in town. 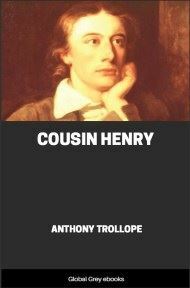 Her uncle, Dean Greystock, of Bobsborough, would have had her, and a more good-natured old soul than the dean's wife did not exist,—and there were three pleasant, good-tempered girls in the deanery, who had made various little efforts at friendship with their cousin Lizzie; but Lizzie had higher ideas for herself than life in the deanery at Bobsborough. She hated Lady Linlithgow. During her father's lifetime, when she hoped to be able to settle herself before his death, she was not in the habit of concealing her hatred for Lady Linlithgow. Lady Linlithgow was not indeed amiable or easily managed. But when the admiral died, Lizzie did not hesitate for a moment in going to the old "vulturess," as she was in the habit of calling the countess in her occasional correspondence with the girls at Bobsborough. 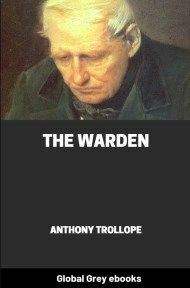 The admiral died greatly in debt;—so much so that it was a marvel how tradesmen had trusted him. 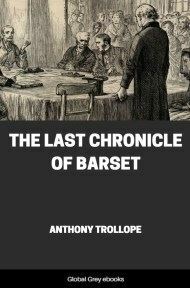 There was literally nothing left for anybody,—and Messrs. Harter and Benjamin of Old Bond Street condescended to call at Lady Linlithgow's house in Brook Street, and to beg that the jewels supplied during the last twelve months might be returned. Lizzie protested that there were no jewels,—nothing to signify, nothing worth restoring. Lady Linlithgow had seen the diamonds, and demanded an explanation. They had been "parted with," by the admiral's orders,—so said Lizzie,—for the payment of other debts. Of this Lady Linlithgow did not believe a word, but she could not get at any exact truth. At that moment the jewels were in very truth pawned for money which had been necessary for Lizzie's needs. 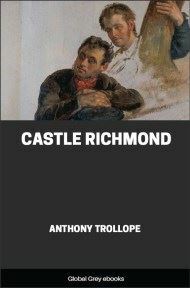 Certain things must be paid for,—one's own maid for instance; and one must have some money in one's pocket for railway-trains and little knick-knacks which cannot be had on credit. Lizzie when she was nineteen knew how to do without money as well as most girls; but there were calls which she could not withstand, debts which even she must pay. She did not, however, drop her acquaintance with Messrs. Harter and Benjamin. Before her father had been dead eight months, she was closeted with Mr. Benjamin, transacting a little business with him. She had come to him, she told him, the moment she was of age, and was willing to make herself responsible for the debt, signing any bill, note, or document which the firm might demand from her, to that effect. Of course she had nothing of her own, and never would have anything. That Mr. Benjamin knew. As for payment of the debt by Lady Linlithgow, who for a countess was as poor as Job, Mr. Benjamin, she was quite sure, did not expect anything of the kind. But— Then Lizzie paused, and Mr. Benjamin, with the sweetest and wittiest of smiles, suggested that perhaps Miss Greystock was going to be married. Lizzie, with a pretty maiden blush, admitted that such a catastrophe was probable. She had been asked in marriage by Sir Florian Eustace. Now Mr. Benjamin knew, as all the world knew, that Sir Florian Eustace was a very rich man indeed; a man in no degree embarrassed, and who could pay any amount of jewellers' bills for which claim might be made upon him. Well; what did Miss Greystock want? Mr. Benjamin did not suppose that Miss Greystock was actuated simply by a desire to have her old bills paid by her future husband. Miss Greystock wanted a loan sufficient to take the jewels out of pawn. She would then make herself responsible for the full amount due. Mr. Benjamin said that he would make a few inquiries. "But you won't betray me," said Lizzie, "for the match might be off." Mr. Benjamin promised to be more than cautious. There was not so much of falsehood as might have been expected in the statement which Lizzie Greystock made to the jeweller. It was not true that she was of age, and therefore no future husband would be legally liable for any debt which she might then contract. And it was not true that Sir Florian Eustace had asked her in marriage. Those two little blemishes in her statement must be admitted. But it was true that Sir Florian was at her feet, and that by a proper use of her various charms,—the pawned jewels included,—she might bring him to an offer. Mr. Benjamin made his inquiries, and acceded to the proposal. 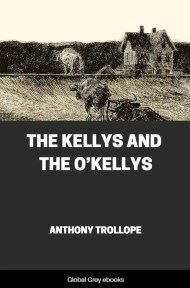 He did not tell Miss Greystock that she had lied to him in that matter of her age, though he had discovered the lie. Sir Florian would no doubt pay the bill for his wife without any arguments as to the legality of the claim. From such information as Mr. Benjamin could acquire he thought that there would be a marriage, and that the speculation was on the whole in his favour. Lizzie recovered her jewels and Mr. Benjamin was in possession of a promissory note purporting to have been executed by a person who was no longer a minor. The jeweller was ultimately successful in his views,—and so was the lady.